5 Bedroom Semi Detached House For Sale in Leicester for Guide Price £275,000. 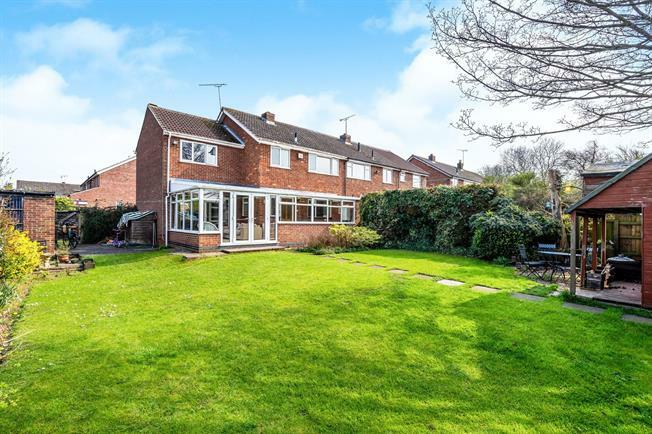 An impressive five bedroom semi detached family home which occupies a generous plot. The ground floor consists of three thoughtfully arranged reception rooms including lounge, dining room & conservatory which are bright & airy. The shaker style kitchen provides ample cupboard space & blends seamlessly with the flow of the accommodation. Five well proportioned bedrooms are found to the first floor all complemented by a family bathroom. Externally you have a small lawned frontage & driveway with large mainly lawned rear garden which provides high degree of privacy.